A small country on the Atlantic coast in West-Central Africa, Gabon covers nearly 270,000 square kilometers, or about 104,000 square miles — about the size of Colorado, but with a population of only about 1,650,000 people. Children younger than 16 make up almost 50 percent of the population, and more than 800,000 people live in the capital, Libreville. Many live in substandard conditions a hundred meters from luxury apartments. Despite the stark differences with much of North America, and the United States in particular, Lean lessons abound. In West-Central Africa, many people live with scarcities of clean water, shelter, and public sanitation. The poor Gabonese villager carries untreated water from a common pump or well to a shack that lacks screens, and uses an outhouse. The wealthier five kilometers west might drink premium bottled water, occupy a weekend maison, and use a bidet. Relying on the front yard for cooling may seem irrelevant for Americans who enjoy air conditioning and moderate electrical rates. But in both places, the poor live in dwellings with inadequate ventilation and walls that transmit the heat, so they sit outside for a breeze despite mosquitos while those farther up on the economic scale opt for a cooler AC setting. For both cultures, a Lean solution is windows that are suitably sized, operable, well-placed, screened, and shaded, in walls that don’t absorb daytime solar heat. This requires an accommodative building design that allows adequate internal airflow and perhaps extended roof overhangs or other shading devices. A very basic, properly designed building can achieve this objective in most any Transect Zone. In the hot and humid climate of West-Central Africa, or in comparable US regions, a detached, semi-attached, or attached dwelling with sufficient front and rear windows can permit outside air to move in and out through an open floor plan or gaps between walls and ceilings, perhaps with the assistance of a window fan. In West-Central Africa, palms and shade trees grow fast, but they are often cut down as quickly to make room for parking or additions. In North America, mature shade trees are often removed during conventional development grading that re-contours large sites and removes topsoil and plantings. Natural shade can reduce surrounding temperatures <http://energy.gov/energysaver/articles/landscaping-shade> as much as 9°F and as much as 25°F directly underneath. In both parts of the world, a Lean solution is to protect healthy specimens through conservative design and construction practices. 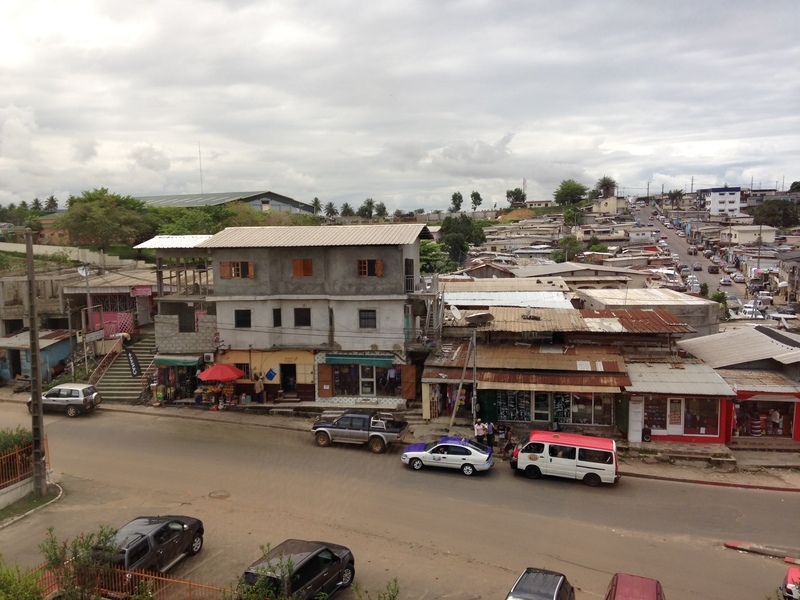 In Gabon, blocks are not oriented to capture prevailing breezes as they are in some Central and South American colonial cities or in Southern traditional and New Urbanist communities. Gabon lacked a substantial colonial building period, so there are few surviving examples of Lean block patterns that leverage the sea breezes along the coast. Our ubiquitous solid perimeter lot walls, six feet and higher, present a second lesson of what not to do: orientation that ignores prevailing winds and walls that block breezes like their counterparts in walled and miss-oriented US subdivisions. The Gabonese, prolific self-builders, historically employed a Lean vernacular consisting of semi-permanent, lightweight structures made of durable hardwood and water-resistant plant materials that capture the breezes. However, termites eventually ruined the wood, and mosquitoes infiltrated the structures. In a mistaken response, the current building convention of concrete frame with concrete block walls and corrugated metal roof with minimal overhangs creates the perfect heat sink that requires mechanical cooling, if one can afford the equipment and power. The desire for “solid walls,” associated with quality of the high-end concrete villa, helps drive this aspiration, even among the poor, while fired, clay bricks are viewed as substandard. The concrete block and framed building that uses relatively inexpensive labor and locally sourced aggregate offers a lesson that local construction practices and materials are neither Lean nor comfortable if the local climate is ignored. Concrete block walls and corrugated metal roof with minimal overhangs requires mechanical cooling. Ignoring the climate is neither Lean nor comfortable. Credit: Steve Coyle. Another unintended consequence of self-building is that its growth can be at the expense of sustainable, higher-density neighborhoods. This is due to three primary reasons. First, there is a pervasive goal in Gabon to build a three- or four-bedroom detached house on a lot of more than 500 square meters (5,382 square feet) to fit the average family of four or more. But if 65,000 dwellings, Libreville’s current shortfall, were built on lots of 500 square meters, that would equal a land area of 32,500 hectares (80,311 acres), or about .5 units per hectare (1.2 units per acre). This pattern would lead to motor vehicle-dependent sprawl, which is the opposite of Lean. Second, a lack of code enforcement places occupants of multi-story buildings at risk. Investigations of building failures often reveal concrete compressive strengths at half the required capacity, and missing or undersized steel reinforcement. This is due to inadequate third-party testing and enforcement rather than to the building code itself. Structural inspections for multi-story buildings, however, should avoid a slide into over-enforcement that tends to increase corruption and avoidance of compliance with building codes. Third, compact development of higher quality is limited primarily to higher-end neighborhoods in Libreville and the pockets lining the coast that are popular among ex-pats. The region’s undulating topography often focuses development into higher densities that can exceed 20 units per hectare on flatter sites. These are often composed of continuous rows of small-footprint stores along transportation corridors and crowds of shacks filling flood-prone areas. The desire to leave those conditions, and the lack of safe, affordable, compact developments contribute to the desire to build on larger lots. The lack of affordable, safe, high-quality compact development contributes to the desire to build larger homes on larger lots. Credit: Steve Coyle. 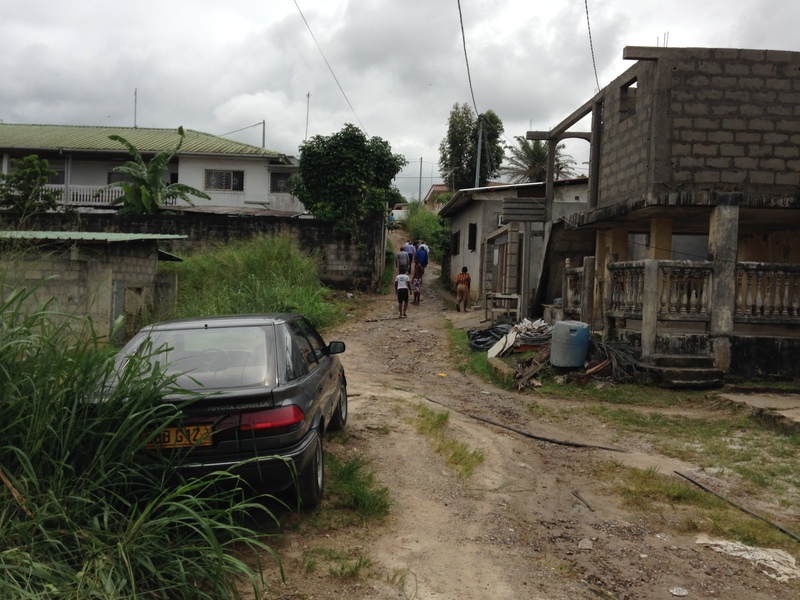 The Prince’s Foundation for Building Community, together with Opticos and Town Green, developed a SmartCode for an area north of Libreville. While the T3 areas can accommodate mostly single-family homes, the market for T4 and T5 remains largely untested. The market constraints to building T4 and T5 are bolstered by self-building: The average Gabonese family building its own house cannot construct a multi-story structure without professional assistance. In a small country with a limited number of professional designers and builders, few have the means to build decent three-, four-, and five-story buildings. This in turn constrains the ability to market T4 and T5 apartments and attached dwellings. Proper training of design and building trades and management is necessary to produce these buildings and develop this market. 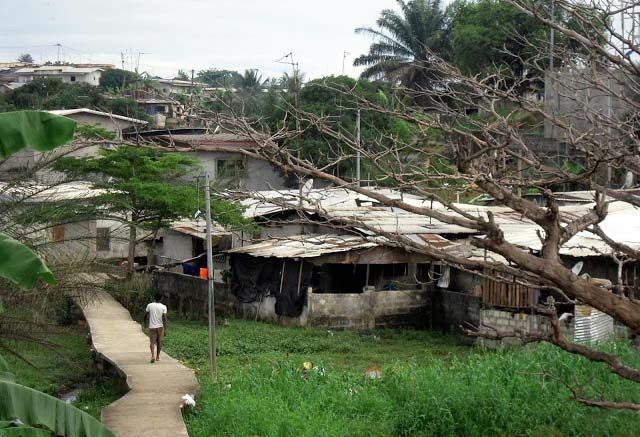 Gabon reports a national housing deficit of more than 200,000, with the largest portion of the scarcity in Libreville. Yet the process of entitling land for development can take ten years or longer. A mandate introduced in 2013 limits the process time to roughly a year, though that will be difficult to achieve because most land in the Libreville area has never been platted or surveyed, and thus remains untitled. And land claims enforced by politicians or bribes to the powerful, though decreasing, trump due process. The hundreds or thousands of houses built in flood plains are one result of this dysfunctional process. Besides building in flood-prone areas, the workarounds to securing land ownership include “squatting” on undeveloped plots and purchasing lots with no legal title, or even a false title. While the squatters face the possibility of government “expropriation,” they often make “improvements,” such as the ubiquitous perimeter lot wall and concrete-block house, in hopes of remuneration if they are evicted. Such “improvements” often need to be demolished, adding negative value to the land. Current workarounds for affordable housing include building in flood plains and squatting without proper titles. Credit: Steve Coyle. Rent-seeking developers continue to purchase ancestral and other untitled lands for resale, sometimes for high-end homes or to clear and burn the jungle for oil palm plantations. As a protective measure, ancestral settlements may receive land titles in exchange for an agreement to not sell their land. Barriers to land ownership can result in unfair or unprincipled ways to surmount these constraints. Americans may not face these kinds of difficulties in securing land titles, but obtaining permits for mixed-use buildings and infill development can present formidable obstacles. For both countries, the land-entitlement process should be Lean: simple, speedy, equitable, and transparent — environmentally, economically, and socially. West-Central Africa may seem a world apart, but it offers much to learn as we seek to use Lean Urbanism to allow both peoples and places to flourish. 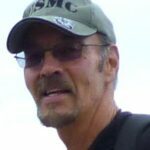 Over the last 25 years, Steve Coyle has affected positive change in the design, form-based coding, and development of towns and cities large and small as an architect, urban planner, and developer. A national expert in the field of sustainable planning, his book, Sustainable and Resilient Communities (www.sustainableandresilient.com), codifies a set of practices in design, planning, and engineering. Co-founder of the National Charrette Institute (www.charretteinstitute.org) and contributing author to the Charrette Handbook, Coyle remains an innovator in public engagement and the design of beautiful, healthy, and cool places that children, grown-ups, and businesses love. Always ready for a design challenge, he has worked in the West Bank, Mongolia, and presently works for the Prince's Foundation in Gabon, Africa.